If you asked a group of adults what they understand by the term digital footprint it’s likely that they would struggle to give an answer! So, it is little surprise that children struggle to grasp this concept. Most kids, understandably, don’t think of the long-term implications of what they are sharing today i.e. that it might have an impact on their lives in the future. So, what does your child need to be aware of when it comes to managing their digital footprint? Zeeko provide resources for parents, teachers and schools to empower their children with the tools to protect themselves online. Screen time, how much is too much and how to manage it, is a subject that is raised regularly by parents and teachers at our seminars in schools and our parent internet safety crash courses. With the growing number of screens that children now have access to, the time spent on screens can be a particular challenge for families across the country. One of the questions we asked primary school children from 1st to 6th class as part of our Zeeko All Ireland Trend Report was: ‘How much screen time do you have most days?’ The findings make for interesting reading. 15% of children in first class said that they spend more than 5 hours a day on screens, 12% of second class pupils and 12% of 3rd class pupils reported spending more than 5 hours a day on screens. It is important to understand what we are referring to when we say ‘screen time’; the time spent looking at a laptop, PC, TV, smartphone, tablet, iPod etc. All of these devices involve ‘blue light’ technology, to which children should not be overexposed. Overexposure to ‘blue light’ can affect the melatonin levels in the brain and can lead to disturbed sleep and poor concentration. 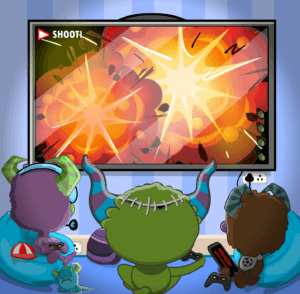 So what is the most effective way to manage your child’s screen time? The American Academy of Paediatrics (AAP), which recommends that a child spends a maximum of 1 to 2 hours per day using screens, offers some very sensible advice on managing screen time. Here is a short overview of the advice offered by the AAP, which we support and encourage in our work. Treat media as you would any other environment in your child’s life. The same parenting guidelines apply in both real and virtual environments. Set limits; kids need and expect them. Know your children’s friends, both online and off. Know what platforms, software, and apps your children are using, where they are going on the web and what they are doing online. Set limits and encourage playtime. Tech use, like all other activities, should have reasonable limits. Unstructured and offline play stimulates creativity. Make unplugged playtime a daily priority, especially for very young children. And—don’t forget to join your children in unplugged play whenever you’re able. Be a good role model. Teach and model kindness and good manners online. Children are great mimics, limit your own media use. In fact, you’ll be more available for and connected with your children if you’re interacting, hugging and playing with them rather than simply staring at a screen. Create tech-free zones. Keep family mealtimes and other family and social gatherings tech-free. Recharge devices overnight—outside your child’s bedroom to help children avoid the temptation to use them when they should be sleeping. These changes encourage more family time, healthier eating habits, and better sleep, all critical for children’s wellness. Know the value of face-to-face communication. Very young children learn best through two-way communication. Engaging in back-and-forth “talk time” is critical for language development. Conversations can be face-to-face or, if necessary, by video chat, with a travelling parent or far-away grandparent. Research has shown that it’s that “back-and-forth conversation” that improves language skills—much more so than “passive” listening or one-way interaction with a screen. 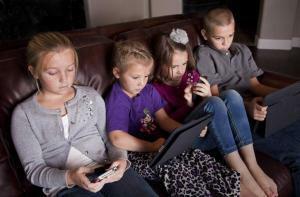 At Zeeko we are pioneering the 5:1 Rule, as a way of managing children’s screen time. 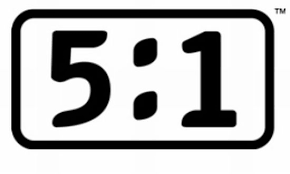 The rule works on the premise of, 5 hours of real world activities to 1 hour of ‘screen time’. On average, a child spends 18 hours a day between sleeping, school, homework, meals, hygiene and chores, leaving 6 hours of ‘free time’. With all of this in mind, we propose 5 hours spent on real world activities for every 1 hour of ‘screen time’ – the 5:1 Rule. Bear in mind that real world activities can include homework, meals etc. and they do not need to be supervised activities – it could simply be going out to play with friends in the front garden! In the digital age we live in screens, are a fact of life. Once your child is encouraged to be balanced in the amount of screen time they have daily then they are on the right path. The Zeeko Internet Safety Guide offers more comprehensive information and advice on managing screen time and other areas of internet safety. If you would like to buy a copy of the book you can do so here. We update our social media channels every day, so you can keep up to date with our work by following us on Facebook, Twitter and LinkedIn. To mark Safer Internet Day 2016 we are delighted to forward you a free digital copy of the Zeeko Internet Safety Guide to download HERE. The guide will help parents empower their children to protect themselves online. This guide provides advice and guidance on a range of internet safety areas such as cyberbullying, excessive internet use, digital footprint, stranger danger and a specific chapter on how to make digital devices safer. The website www.zeeko.ie will give you a broader understanding of the work done at Zeeko. Wishing you and your children a safe online experience. The first week in January 2016 was an exciting one for Zeeko, as we launched our crowdfunding campaign with a target of raising €5,000 to enable us to put a Digital copy of the Zeeko Internet Safety Guide, into every primary school in Ireland. We are absolutely delighted that we reached our target, within three days! 50% of children in 5th class have one or two hours a day “screen time” and over 30% of first and second class children are spending 1 – 2 hours a day in front of screens. IOS devices are more popular than Android amongst all age groups. When asked “if they had ever been cyberbullied or experienced cyberbullying happening to people around them” a worrying 26% of 2nd class students and 34% of sixth class students said they either had or knew someone who had been cyberbullied. 15% of first class children, 26% of third class children, 24% of fourth class children and 23% of 5th class children said they had been cyberbullied or knew someone who had been cyberbullied. Over 54% of sixth class students have admitted to speaking to a stranger online. Some of the results of this report indicate that children as young as six and seven are creating their own online digital relationships by interacting with strangers online. We know from our work that this is of concern to parents and educators. Regular readers of our blog will know that at Zeeko we believe the internet is a great resource and has enormous potential in the education setting, however, there are also many risks online especially for children. As mobile devices and powerful hand held computers become more available and less expensive it is becoming more difficult for parents to restrict access. Many parents tell us that their children have apps or are using social media sites without their consent. Our advice to parents is that the best thing they can do is teach children how to navigate the internet safely. The feedback from parents attending our seminars is very positive. When parents feel informed they feel empowered! The content of the Zeeko Internet Safety Guide, which includes information and advice on areas such as Your Child’s Digital Footprint, Cyberbullying; dealing with Stranger Danger, Excessive Internet Use and Inappropriate Content. The book also includes a chapter that deals specifically with safety settings on digital devices to help to keep your child safe online. Online interactions today may sometimes seem to be a minefield, especially for young people and their parents who are concerned about Internet safety. The temptation might be to prevent children from accessing online technologies entirely, in what may be a well-intentioned but misguided attempt to protect them from the various dangers online. Nevertheless, without the opportunity to explore the benefits of Internet technologies, young people today may find themselves seriously disadvantaged both socially and educationally, and a lack of appropriate skills may result in reduced career options as they grow older. Online activities such as social media and gaming have been found to have many benefits for young people, including enhancement of interpersonal relationships and social interaction, expression of identity, enhanced self-esteem, self-affirmation, leadership skills, cognitive benefits, and many more. The solution is not to prevent young people from accessing the Internet, but rather to help them to learn how to use the technologies in the best possible way, so that they can grow and develop the skills required for living in a world where the Internet is no longer a new and unusual space, but rather an integrated element of many aspects of daily life. Preventing young people from accessing online resources because of the potential dangers involved is equivalent to banning them from ever travelling in a motor vehicle or crossing the road because of the potential dangers inherent in those activities. A complete ban on internet activity might reduce the possibility of negative consequences from online sources, but it will definitely impair their ability to develop and reach their potential in educational, occupational and social settings. Instead of attempting to ban young people from the internet, a far more preferable approach is to recognise the similarity between road safety and internet safety – guide children on how to behave in online environments to reduce risk, and provide support for their problems and questions, in the same way that we teach them how to cross the road safely and, eventually, how to drive. The Zeeko Internet Safety Guide provides tangible and specific advice on how parents, teachers, and others can protect children online, without unnecessarily impairing children’s development. Indeed, the authors recognise the dangers in imposing bans on using technologies, as children can easily access the Internet through other means, and if anything does go wrong, they may then be considerably less likely to seek the help and support that they need as they fear the punishment that may occur if they tell their parents that they have been online without permission. A child who has been banned from Internet use is doubly at risk – they lack the knowledge and skills to use the resources in the safest and best way, and they are more limited in who they can seek help from. The Zeeko Guide advocates a more appropriate response – aiding parents to encourage appropriate online use and clear communication, as well as providing guidance and suggestions that are easy for young people to understand and follow. The step-by-step instructions with screenshots included in the Guide will help parents and teachers to feel more confident as they configure devices to improve safety and privacy, while also removing some of the potential confusion which may arise as adults try to navigate the online resources and media that are used extensively by young people. This has the added benefit of increasing the likelihood that young people will approach their parents, teachers, or other appropriate adults for advice if anything does go amiss online – the guide advocates an open and honest channel of communication, and provides specific suggestions on how to achieve this. I believe that any parent who is concerned about their child’s online safety should read this guide, and that it will be an invaluable source of advice and suggestions which can be consulted over and over again. Safety rules are second nature to children; belt up in the car, look left and right crossing the road and do not talk to strangers. So why in an age where our children are so aware of the dangers of speaking to strangers in the real world, are so many comfortable with interacting and engaging with strangers online? The issue stems from the fact that children suffer from a cognitive disconnection between the real world and the virtual world. They often do not transfer real world rules such as ‘Stranger Danger’ and protecting their personal information into the virtual world. Children do not comprehend the importance of these rules as they often cannot see the real life danger attached to their digital activity. This naivety can leave children exposed to the threat of unwanted interaction with strangers online. Children are growing up with technology as an integral part of their lives, with technology becoming more and more a fundamental part of your child’s life as they grow and develop. So what can you do as a parent to help to protect your child, from stranger danger online? Through our work with children, parents and teachers at Zeeko we have found the following advice to be helpful and practical. It’s the time of year when there is only one thing on the top of most children’s Christmas list and that is technology! Here is some advice from Zeeko on what to bear in mind if you are going to purchase a piece of technology for your child this Christmas. 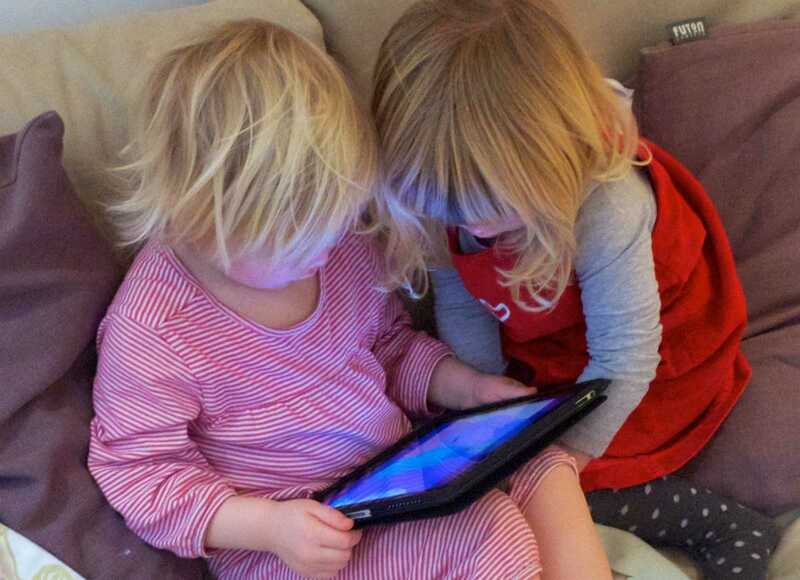 For young children in particular, there are many ‘junior’ versions of technology that appear like they are a tablet or an iPad but they are not in reality connected to the internet and you can have knowledge and control of what games your child plays on these. Remember that your child can learn a lot through technology. They can improve their digital literacy, which will stand to them both now and in the future. If you are open with your kids and talk to them regularly about what they are discovering via technology this can make the digital experience much enjoyable and safer for everyone. Always familiarise yourself with the devices’ capabilities and research how well technology toys and devices meet your needs before purchasing them for your family. Christmas is a time when families spend a lot of time together. Look for electronic devices that can be used in shared company, such as high-tech play sets, which the entire family can come together and enjoy. Many popular entertainment devices and operating systems now incorporate parental controls. You can utilize these built-in settings to limit access to age-appropriate content. Spending time playing with high-tech devices with your children can provide greater insight into kids’ computing, browsing and usage habits, and preferred sites, services and software programs. The team at Zeeko have written an Internet Safety Guide for parents. This book gives more detailed advice and guidance on keeping your child safe online. January 4th 2016 is a significant date for us here at Zeeko. That is the date that our crowdfunding campaign goes live! So why are we launching such a campaign and how will it work? A large focus of our work at Zeeko is providing internet safety seminars for children, parents and teachers in primary schools throughout Ireland. In the course of delivering these seminars we have come into contact with a large number of parents, all of whom have questions and often are significantly concerned about their child’s digital experience. Parents can also feel out of their depth in relation to the technology and the myriad of apps now used by children to communicate digitally. Protecting their child is without doubt the primary concern of any parent, but the online world can pose significant challenges to parents, challenges that were not there a decade ago. At Zeeko we passionately believe that ultimately education leads to empowerment. Therefore we decided to produce a resource for parents to help them keep their kids safe online. The Zeeko Internet Safety Guide is packed with great advice, up to date research and safety tips that parents can use on a daily basis to help their child navigate the digital space. Why are we launching a crowdfunding campaign? Our founder and CEO, Joe Kenny is the father of a young son, who believes that the internet is a fantastic resource but one which children need support to navigate. The motivation in setting up Zeeko, for Joe was the impact that online chat rooms were having on the lives of young people and felt that there had to be a better way, a way to embrace the positives that the digital world has to offer while at the same time remaining safe. With this at the forefront of his mind Joe invested. As a start up company we operate with limited resources! We want to make a digital copy of the Zeeko Internet Safety Guide available to every primary school in Ireland. In order to make this happen we need people to make a pledge and to essentially back our campaign! Crowdfunding is a relatively new concept in Ireland, but it is a very effective way of helping to fund projects, like this one. What will happen on January 4th 2016? Our campaign will be launched to the media at 10am and our campaign will then go live! This will mean that you will be able to go online and make a pledge to back our campaign. Depending on the amount you can afford to pledge you will receive a reward, pledges in excess of €15 will receive a hard copy of the Zeeko Internet Safety Guide. Every single pledge matters to us, and will help to ensure that a digital copy of the Guide is available to every primary school in Ireland. Communicating digitally is now a part of everyday life. Children are now digital natives, in other words they are aware of digital communication from a very young age. For parents this can produce very unique challenges and opportunities. The publication of the Zeeko Internet Safety Guide will help to support parents and children as they learn together to navigate through their digital journey. Help us to support parents and their children on their digital journey, back our campaign on January 4th 2016. The research we carried out at Zeeko across primary schools in Dublin, indicates that the most effective way to manage your child’s online communication is throughactive mediation- educating your children through open communication. So what does this mean? Essentially it means, giving your child the tools and education that they need to protect themselves against threats on the internet. Allow them to reap the benefits of the internet for education, entertainment and safe communication. Empower them to be a responsible Internet user, to be comfortable talking about their online endeavours and perhaps most importantly, to speak up if they are confronted with any issues or challenges without fear of punishment. So, without a doubt the internet is a very useful educational tool. It’s all about empowering yourself as a parent to educate your child to stay safe online. Everyone knows the Safe Cross Code right? It’s the shorthand for the rules for crossing the road, and it’s a great way to create not just an awareness of danger for young children, but it’s also great shorthand for a set of steps to safety. It’s got a catchy tune and all, so that young children – and their minders – can learn the safe way to cross a busy street. Essentially the safety code for crossing the road is to stop, look and listen before walking straight across the road. Stop. Look. Listen. Walk. Keep Watching. As a parent, none of us would let our young primary school child cross the road on their own without supervision or without teaching them the Safe Cross Code. Yet, a busy route that has a lot more dangers in it than a busy road – the Internet – is being navigated all the time by young unsupervised children without any rules being taught beforehand. Much of the time, minders don’t realize their young charges are out there navigating this new highway, often on roads designated only for adults. The Internet can be a terrific resource for young children, but it can also hold its dangers, and we at Zeeko want to help parents – and children – to learn their own Safe Cross Code for the Internet. We call it STOP, BLOCK, TELL. This is what we show primary school children at our seminars, and what we advise parents and minders to do when supervising children using the Internet. These are the rules that can be used at home as well. 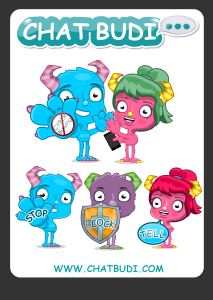 We even have hand movements to go with the rules, that our young learners enjoy using when we give seminars in primary schools on Internet Safety for children. It’s a code for helping children who encounter inappropriate content or have experiences that make them feel bothered or upset. These include cyberbullying, but also unintended comments or photographs. The third step we teach a child is to tell someone if you are worried or upset about anything you have seen on the Internet, including social media. That person can be a member of your family, but ideally an adult or trusted person who will take action for you. This might be a website with inappropriate material, or – more likely – a comment or photograph on social media that has upset the child. So showing someone not only means you are sharing the worry it might have caused you, it also means someone can reassure you and protect you. Being a victim of cyberbullying can sometimes mean you are afraid to speak out; but telling someone is the first step to solving the problem. We encourage adults to help children to discuss with their child how he or she feels about a negative online experience. TO SUMMARISE, we believe children can use the Internet safely, but do need to be taught about the dangers, the boundaries and what do to if they run into danger. The STOP, BLOCK, TELL code is an effective way of helping children to learn how to take care when they are on the web, including social media. As smartphones and free Wi-Fi become the norm in our day to day lives, our young children need to know the rules that help keep them safe on the internet.